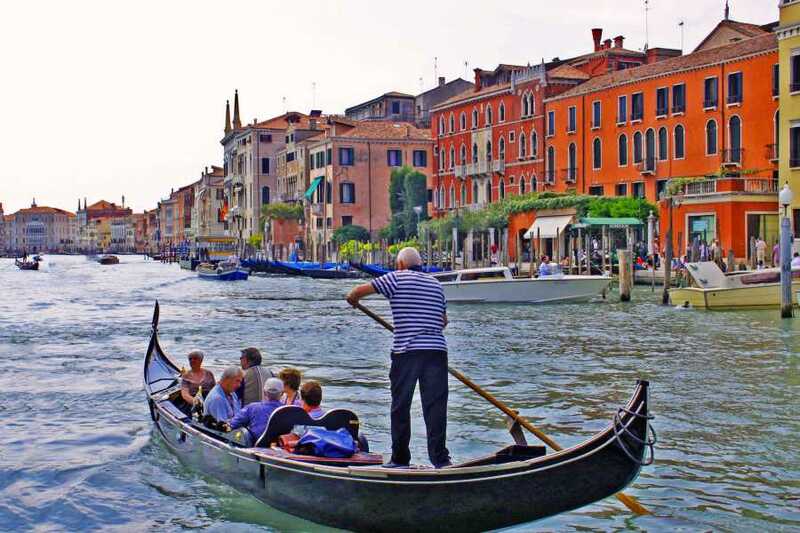 Take the opportunity to enjoy a relaxing promenade by gondola, the most famous and quintessential boat of the city, that will take you along the canals of Venice. Breathe the Venetian atmosphere listening to pleasant music and give yourself an unforgettable experience! 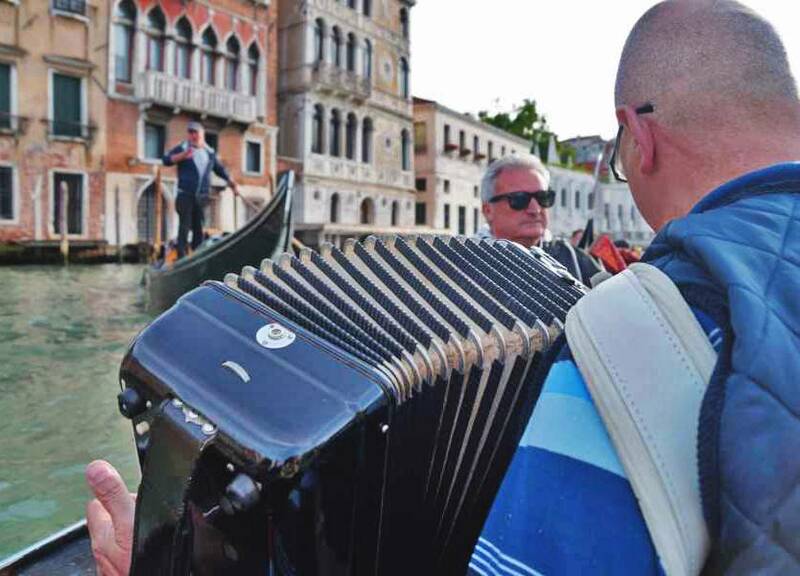 Enjoy the cruise through the city’s most secluded waterways passing under small bridges and along part of the Grand Canal, accompanied by musician singing famous popular Italian songs during the ride! 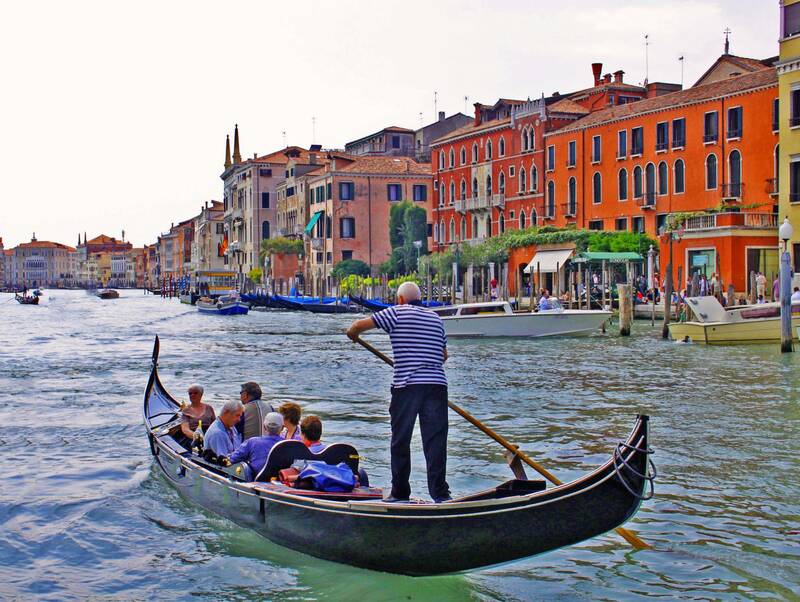 You cannot say you have experienced Venice in all its aspects, if you have not ridden on a Gondola! 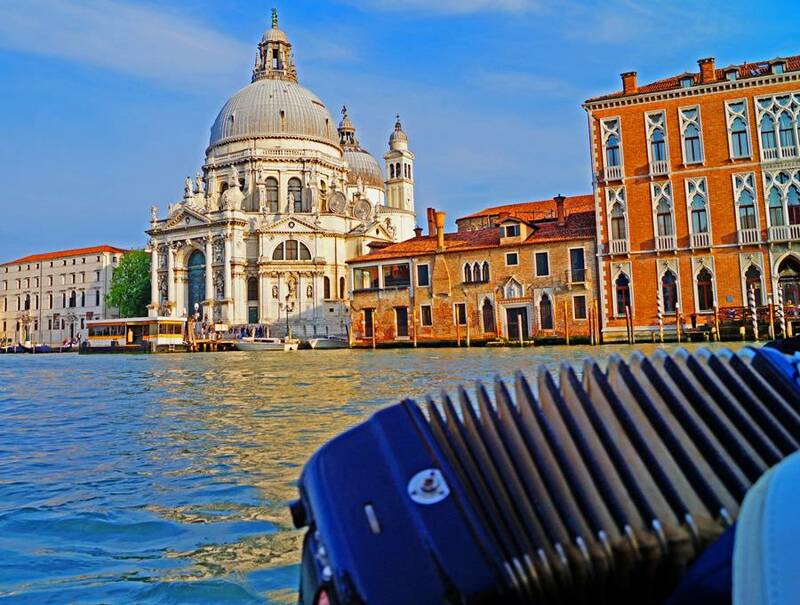 A suggestive experience along the most charming canals of Venice, part of the Grand Canal, Accademia Bridge, Peggy Guggenheim Collection Palace, La Fenice Theatre, Basilica di Santa Maria della Salute discovering its fascinating aspects! No long line, you will get on directly on gondola without queueing! 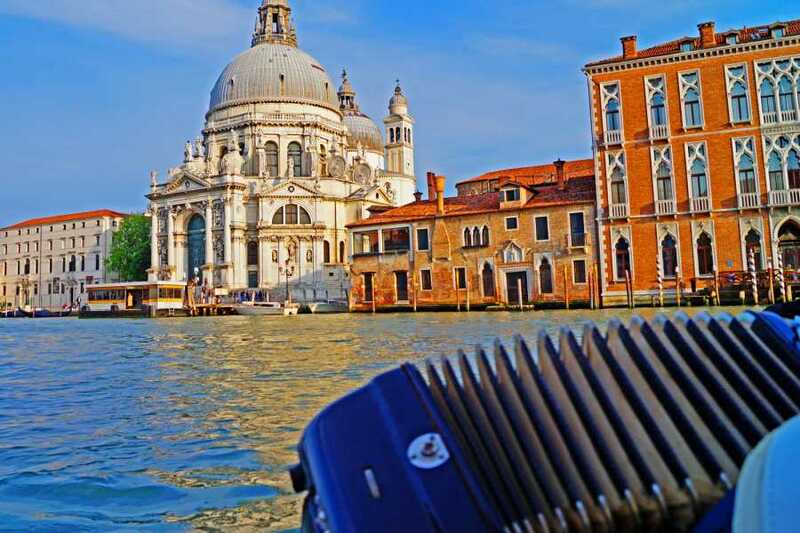 The tour will be composed by 5 gondolas maximum in order to give and unforgettable experience to the client that will listen perfectly the singer and its music! the only gondola tour with commentary. A mobile guide will explain the magnificent palaces and attractions around you. You can easily download the innovative App onto your phone or take the brochure on the spot. After the gondola ride you will enjoy a typical dinner in a Venetian Restaurant tasting the traditional local food, the location is just few meters from he gondola landing stage. Click here to see the menù! 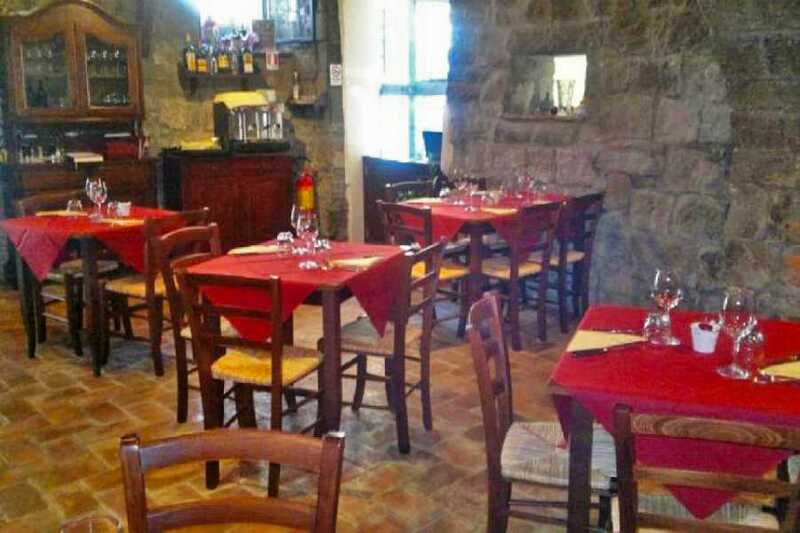 Availability & operation From 1st April to 31st October 2019- The tour does not operate on July 20th - 1th September and in case of exceptional bad weather. Departure and meeting: Every day. Compulsory meeting point at 5:00 PM, tour starts at 5:10 PM. 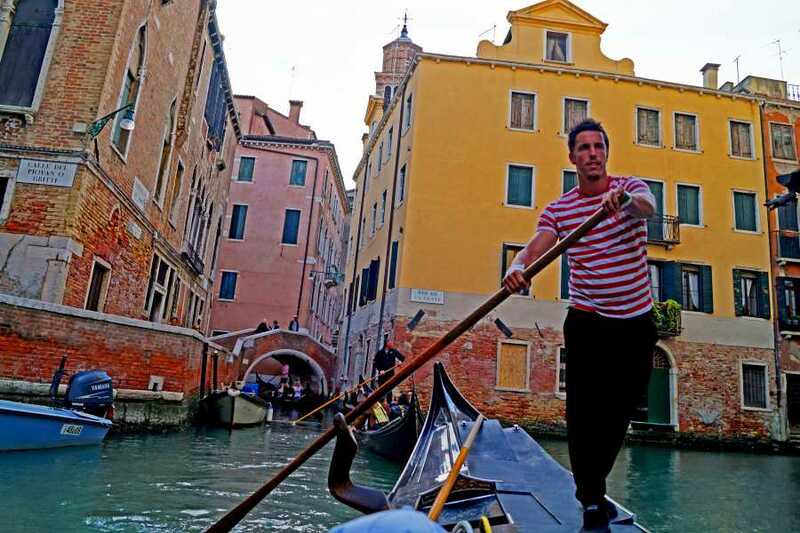 Duration: Gondola ride lasts approximately 30 minutes approx (followed by dinner). Cancellation: bookings can be cancelled with no charge up to 30 hours before the service. Tours does not operate in case of exceptional bad weather (in these cases it can be postponed to the day after otherwise it will be refunded). 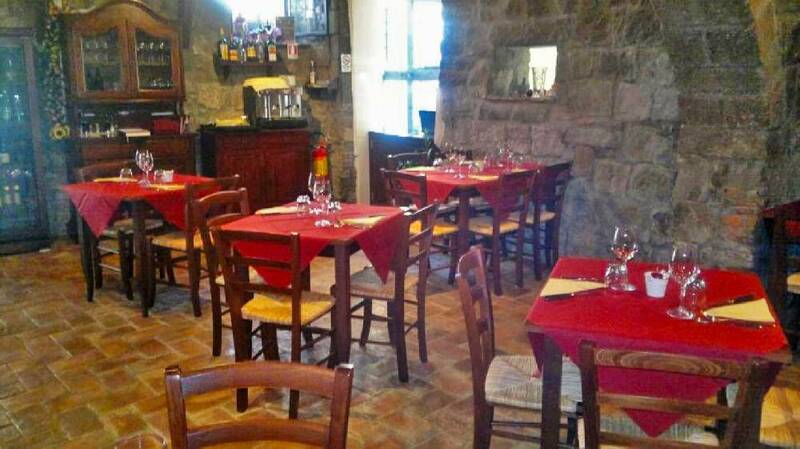 In case of food intollerance or special diet request, please comunicate it at the moment of reservation. You will receive the QR code and instruction to activate the mobile App after reservation by email. Please download the App before starting your tour.